Every single big stable has a young horse that they believe can win the Fred Winter. 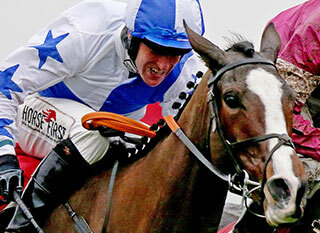 Many horses are specifically targeted at this race, despite being a handicap and with so many young unexposed horses it can take a lot of guesswork to work out which horse is going to win the race. Due to the weights and many other novice races at the festival, we won’t know what will run in the Fred Winter Hurdle 2019 until nearer the time, so all you can do for now is pinpoint the exciting juvenile horses you have seen, and hope that they turn up for the Fred Winter. When you look through the entries you will notice a lot of horses look to be very well handicapped, and many of them would easily win a normal race. However, this is the Cheltenham Festival and every race at the festival is hard to win, especially handicaps like the Fred Winter. You will see a lot of winning form and many exposed horses in this race, and it can be very tough to decide which one you think will win. Let's check our Fred Winter Hurdle trends. The past winners of the Fred Winter Cheltenham have all been very well handicapped horses who are unexposed and have gone on to be much better than they were rated when winning the race. Paul Nicholls is one trainer who really targets the race and he has won three of the last ten renewals, but has also come second on four occasions. The majority of big trainers will have a horse they feel is well handicapped and capable of winning the Fred Winter Juvenile Hurdle, but Paul Nicholls is especially one to keep an eye on. The horses that contend in this race may not have made a brilliant start to their career, and they may not have won a race. However, if they find improvement before they reach the festival then they have the potential to turn up very well handicapped in the Fred Winter Cheltenham race. Aside from Paul Nicholls, it is worth keeping an eye on many other big yards to see if they have any potential Fred Winter horses this season. Look out for horses that are raw and full of ability, but haven’t yet shown it on the course, putting them in a position where if they do improve they will be very well handicapped. 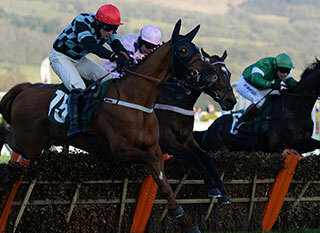 It does take a good horse to win the Fred Winter Handicap Hurdle, not just a well handicapped one. The Fred Winter Hurdle is one of the toughest races to win at the festival, but all the top yards will aim horses at the race despite that. The winners usually go on to be much better than the handicap mark they win the race off, and despite being a handicap, many horses go on to run in graded races. You will notice that many of the runners look to have a great chance, and that is what makes this race so fascinating and a great puzzle to try and solve. 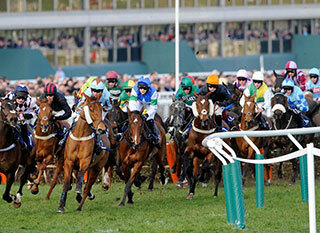 The race conditions are set so that the race is a handicap hurdle race for novice horses who are four year old only, ran over a distance of two miles. The horses in this race must be four years old, and that means it is full of young, exciting prospects.